I was talking to a fellow entrepreneur today and he mentioned that he is jealous of another entrepreneur because he is able to work ‘in the weeds’ on his company. This guy has one successful business and is working on building another. It was really interesting to hear him say that he missed working on a company that is in a start up phase, which made me think about a recent article that I read. The article highlights the differences between Entrepreneurs and Managers. They both play vital, yet very different roles within a company. 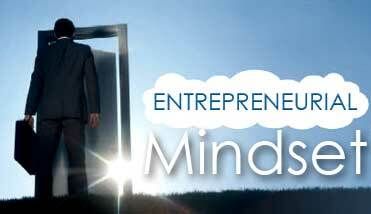 Entrepreneurs are often visionaries and innovators that like to create things, work out some kinks and then move on. They are the builders that turn these dreams into financially viable products or services. On the other hand, Managers are the people who install and oversee the systems and infrastructure to keep a company going. With that being said, it’s no surprise that entrepreneurs often get antsy when their companies ‘grow up’. Usually, the goal of starting a company is to make it prosper. However as a company matures, entrepreneurs are often forced into more managerial type roles, when in fact their true passion is to be more ‘in the weeds’. I found this particularly interesting because I recently faced this issue myself. Not long ago, my company named a President. This was an absolutely essential step to ensure our future success. As the company has grown, so has the need for an experienced industry veteran to run it. As mentioned above, a managers role is to install and oversee infrastructure and systems which are vital to the long-term health of the company. They must be entitled to do so, or they will be set up for failure. None the less, this is a scary notion for an entrepreneur, because in a sense, you are giving up some control. A transition like this doesn’t come without its difficulties, more for the founder than anyone. To allow a high level executive manager, like a President, to truly be successful in his or her role, an entrepreneur must step aside from the day-to-day of his company. This should seem like an entrepreneur’s dream, allowing him or her to go back to being more ‘entrepreneurial’, creative, and innovative while still being involved in the business and big decisions. However, it’s easier said than done when a company started as ‘your baby’. If you are willing to take the risk, it will likely have tremendous rewards. I’ve noticed that the experience our President has brought with him has already helped the company become more structured and focused. This process has had an unintended side effect for me. I’ve been freed up to think like an entrepreneur again. I haven’t been as motivated or excited about the work I’m doing in a long time. By having a President in place to manage the company, I am now in a place where I am able to work on some very exciting and potentially profitable growth initiatives for both my company and for myself. This change has also provided me a little extra time to spend with my family and to do things like train for a triathlon. The changes in my mental state and overall happiness are notable. I’m sure there will be some difficulties to deal with as we continue this process and transition, but at this point, I can honestly say that this was the best move for everyone involved. So if you are an entrepreneur that finds yourself unhappily managing your company as it grows, you should strongly consider finding a well qualified person to manage your business so that you can step aside to let it grow!